How is Addison’s Disease Treated? Addison’s Disease, also known as hypoadrenocorticism, is a disorder of the adrenal gland, where it fails to produce enough of a steroid hormone called aldosterone. This hormone is very important in maintaining a normal balance of two minerals in the blood: sodium and potassium. The consequence of abnormal levels of these minerals is disastrous for the dog. There are two main types of Addison’s Disease. The first is due to medication which has been administered to the dog, and is often only temporary. For instance, steroid hormones are frequently used to treat a wide range of diseases in dogs, and their use diminishes the dog’s natural ability to produce its own steroids. As a result, if the steroid medication is suddenly withdrawn, it can take some time, (possibly several weeks), before the dog is able to produce enough itself. This results in Addison’s Disease. For this reason, any dog that is taking steroids must have them withdrawn gradually by reducing the dose in stages, before they are stopped completely. Most cases of Addison’s Disease are naturally occurring, and are idiopathic. Idiopathic means that we do not know what causes it. We do know that it is a problem with the adrenal gland itself, rather than a lack of any stimulating influence on the gland. The currently accepted explanation for the disease is that it is due to an inappropriate immune response being mounted against the adrenal gland. This results in the gland being destroyed, and hence hormone production ceases. However, this is by no means certain yet, and other causes may well become apparent in the future. When a dog has Addison’s Disease, it loses control of sodium and potassium regulation. As a result, sodium levels in the blood start to fall, and potassium levels start to rise. The symptoms of Addison’s Disease occur as a direct result of these imbalances. It must be remembered that the adrenal gland does not just stop producing aldosterone suddenly. Rather, there is a gradual reduction in the amount of the hormone, so in most cases, the disease has a long course, and the symptoms are vague, and easily confused with other diseases. However, there are some cases where the dog appears to have had no previous illness, and becomes suddenly very ill. This is known as the “Addisonian Crisis.” Dogs experiencing the Addisonian Crisis are genuine emergencies and must be taken to the vet immediately, or they will die. The Addisonian crisis is very dramatic. Typically the dog is collapsed, unable to stand or move about at all. Unlike a seizure, the dog does not lose consciousness. The pulse is very weak and the heart rate slow (less than 60 beats per minute). Vomiting and diarrhoea are common. The dog is dehydrated, which is evident by “skin tenting.” (Skin pinched over the skull takes more than 1-2 seconds return to the normal position). Many of these symptoms are present in other diseases, but any dog that’s unresponsive and cannot get up should be attended to as soon as possible. Occasional vomiting and diarrhoea, possibly with some weight loss accompanied by loss of appetite and increased thirst. There are many diseases which could be confused with Addison’s Disease. At Vetrica, all dogs with an increased thirst are thoroughly worked up to determine the cause, and during the investigation, Addison’s Disease should become apparent. Addison’s Disease is most easily confused with kidney failure. This is because of the dehydration which Addison’s cases have. This causes waste products that the kidneys remove from the blood to accumulate, in much the same way as they do with failing kidneys. As you will see from the description of Addison’s Disease, it is very easily confused with other diseases that have very different treatments. Before embarking on treatment, which is lifelong, it is very important to be sure of the diagnosis. Most Addison’s Disease cases present to us with increased thirst as the main symptom, and the first stage of the investigation is to check a urine sample. This is to help differentiate between the different causes of increased thirst. For example, if there is glucose in the urine, the dog has diabetes mellitus (sugar diabetes), and further tests for Addison’s are not warranted. Other causes of increased thirst include kidney or liver failure, Cushing’s Disease (in many ways the opposite of Addison’s Disease), severe infection, diabetes insipidus, and a few others. If the urine sample has no glucose in it, then a routine blood profile is performed. At Vetrica, we usually run a battery of tests that covers a wide range of body systems. This includes the kidney function and sodium / potassium analysis that is so vital to the diagnosis of Addison’s Disease. in the vast majority of cases, Addison’s Disease will be very strongly suspected on the results of these tests. We then need to perform a specific blood test to confirm the disease. The diagnosis is confirmed by the Synacthen® stimulation test. Synacthen® is synthetically produced ACTH, (adrenocorticotrophic hormone). This hormone stimulates the adrenal gland to produce another hormone called cortisol, which is much easier to measure than aldosterone, and is also deficient in cases of Addison’s Disease. A blood sample is taken to determine the resting level of cortisol. An injection of Synacthen® is then given, and 1 hour later another blood sample is taken to measure the response of the adrenal gland. In Addison’s Disease, cortisol levels hardly rise at all after the Synacthen® injection. Treatment can be divided into two phases. Firstly, in the case of the Addisonian Crisis, we can never be sure that the dog has Addison’s Disease. It may well be strongly suspected, but treatment is directed towards correcting dehydration, and improving the circulation. This is done by the rapid intravenous injection of saline (salty water). When the dog is improved, he can be worked up to prove Addison’s Disease, and move onto long term treatment. The long term treatment of Addison’s Disease is by replacement of the missing hormone, aldosterone. However, aldosterone itself is not available, so we have to use a drug that has similar properties. This is called fludrocortisone acetate, and is marketed as Florinef®. The starting dose of Florinef® is one tablet per 10kg of dog. It is very important to monitor the dog to check the effect of the drug. This is done by regularly testing the levels of sodium and potassium within the blood. If the drug dose is too low, then sodium will be too low, and potassium too high. In this case, we increase the dose and may even give it twice daily. The first blood test is done about a week after starting treatment, and each week after that until satisfactory maintenance is achieved. Once stable, we usually recommend to test the dog every 6 months or so, or as required if symptoms recur. It is not unusual for the final dose of Florinef® to be as high as three times as much as was initially used. High blood pressure, fluid retention and low potassium levels are all possible if the dog is overdosed, and not monitored sufficiently. If the dog needs a high dose of Florinef® to maintain normal sodium and potassium levels, then the cortisol-like effect of the drug will be greater than is required. In this case, side effects associated with excessive levels of cortisol will occur. These are mainly increased thirst, appetite, and weight gain. In comparison with other dogs taking oral steroids, these symptoms are generally mild, but can be significant. It can help to give a salt supplement with the diet, especially in dogs that require high doses of Florinef®. Ordinary table salt is adequate, but not the reduced sodium salts as they have high levels of potassium. In most cases, the long term use of salt supplementation is not necessary. Addison’s Disease is a very satisfying disease to treat for a veterinary surgeon. Most cases of Addison’s Disease return completely to normal with treatment, and those that are not completely normal have a more than adequate quality of life. However, it is a potentially life threatening disease, and you have to be vigilant. Dogs die with the Addisonian Crisis. All dogs with Addison’s Disease require lifelong treatment. 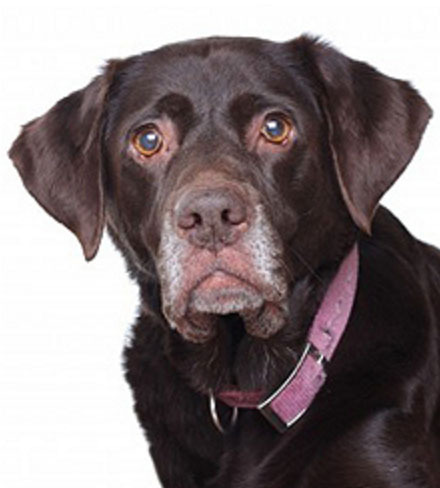 It is vital that the medication is given regularly, even when the dog looks better. Also remember that at times of stress, or if the dog is not eating, vomiting or lethargic, it is likely that some cortisol is required. You should be prepared to give some prednisolone at these times, and even if you hardly ever use it, remember to keep some just in case. Fragmented medial coronoid process is different though. Only about 50% of individuals achieve full use of the affected limb. The remainder will require at least intermittent use of painkilling drugs, coupled with moderation of exercise and weight control. Some degree of arthritis is inevitable.